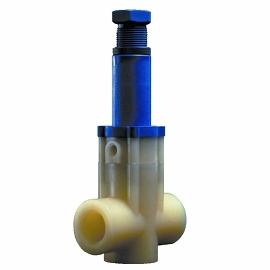 Relief, Backpressure, Bypass & Anti-Siphon Valves – Plast-O-Matic Valves, Inc. Prevent system overpressure, regulate backpressure, provide automatic bypass, and eliminate siphon with high performance relief valves. 2-way and 3-way designs, straight and angle pattern, choice of elastomer or PTFE diaphragm design. ¼” – 3″ sizes. 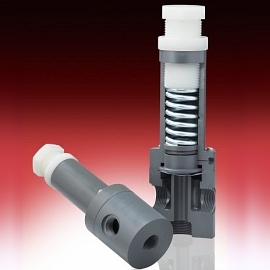 Series RVDT/RVDTM is a universal automatic backpressure control valve for pressure relief, pump backpressure, pump bypass, anti-siphon, and backpressure regulator applications. 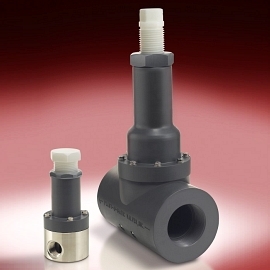 Thermoplastic or Metal Valves designed for smooth, sensitive operation and the ultimate in corrosion resistance or ultrapure liquid handling with no wetted elastomers. Upstream pressure settings to 125 PSI on most models. Available in Geon PVC and Corzan CPVC body materials in 1/4″- 3″ sizes; Natural Polypropylene and Kynar PVDF body materials in 1/4″ – 2″ sizes; PTFE body material in 1/4″ – 1″ sizes; Stainless Steel body in 1/2″ – 1″. A complete range of connection types available. 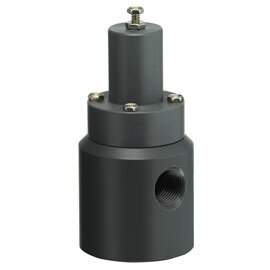 Series RVD rugged compact designed for use as back pressure valve, straight relief, by-pass relief or back pressure regulator. 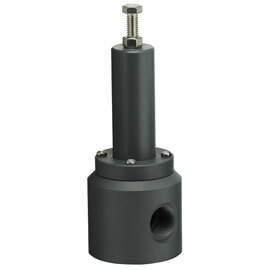 1/4″ and 1/2″ sizes in most popular thermoplastic materials and connections; 5 – 150 PSI set range.